Memoirs of a Madcap Musicmaker Madly Musicmaking and Making Mad Music (Est. 2004): Back on The Edge, baby!!!! Back on The Edge, baby!!!! I'm back! 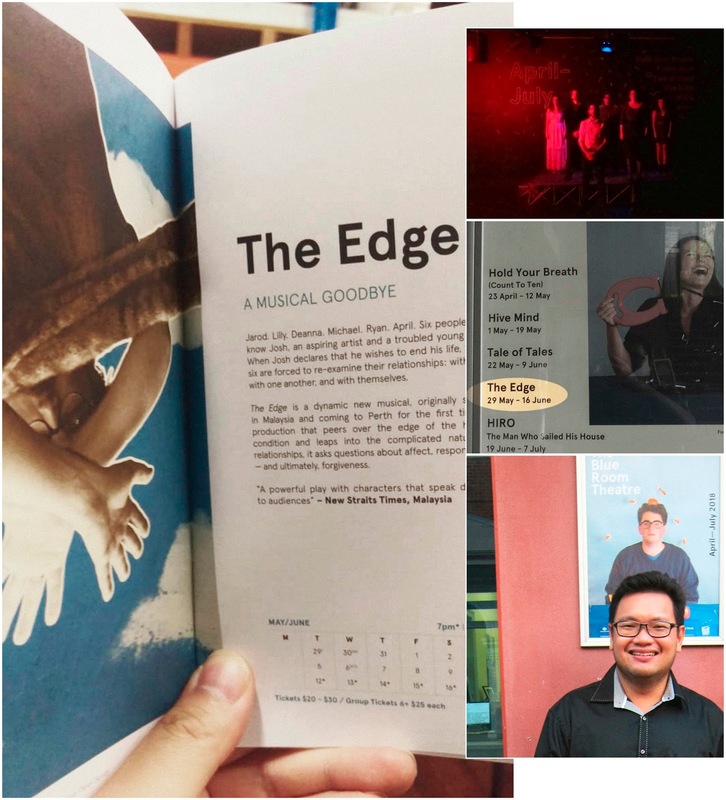 So for some theatre updates: the main event being the great news I can finally share that my musical THE EDGE will be having its Perth premiere in... oh, about five weeks, OMG!!!! It will have been five years this November since the Malaysian production, so I'm thrilled (and nervous?!) that this is happening! We've been rehearsing since the end of March (see table read, etc below) and we had an official launch at the venue, The Blue Room in Perth, on April 5, with a night that featured the cast singing a medley of The Greatest Measure and the title song as three different sets of audiences were brought into the performance space. The night went really well and the feedback has been very positive, with many people saying our presentation was the best one (yay!) and that their curiosity (I presume) had been piqued!!! Here are some photos from the night! The show runs from May 29 and tickets are already available: if you're keen, do check out the Blue Room's website, as well as the Facebook event page!! Our info has also been posted in the Perth chapter of Broadwayworld, so that's super exciting!! I'll come back with more details on this and other news, but I'll leave you with this sneak peek of the cast performing the title song from the show. This clip hasn't been shared anywhere else yet, so this is a special preview! Enjoy! !